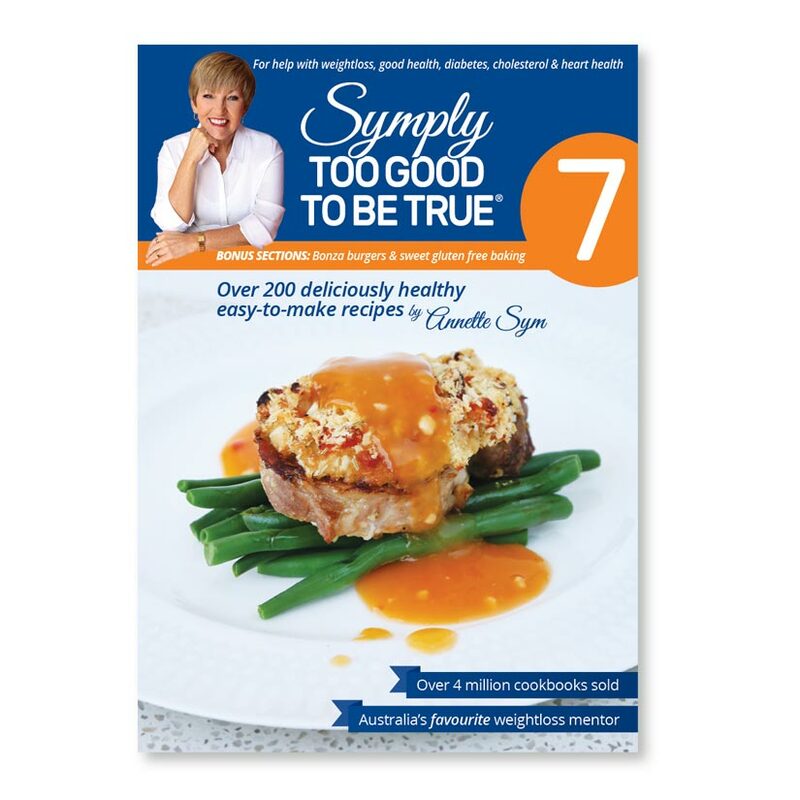 Annette Sym’s seven best-selling cookbooks include all of your family favourite recipes as low fat versions. 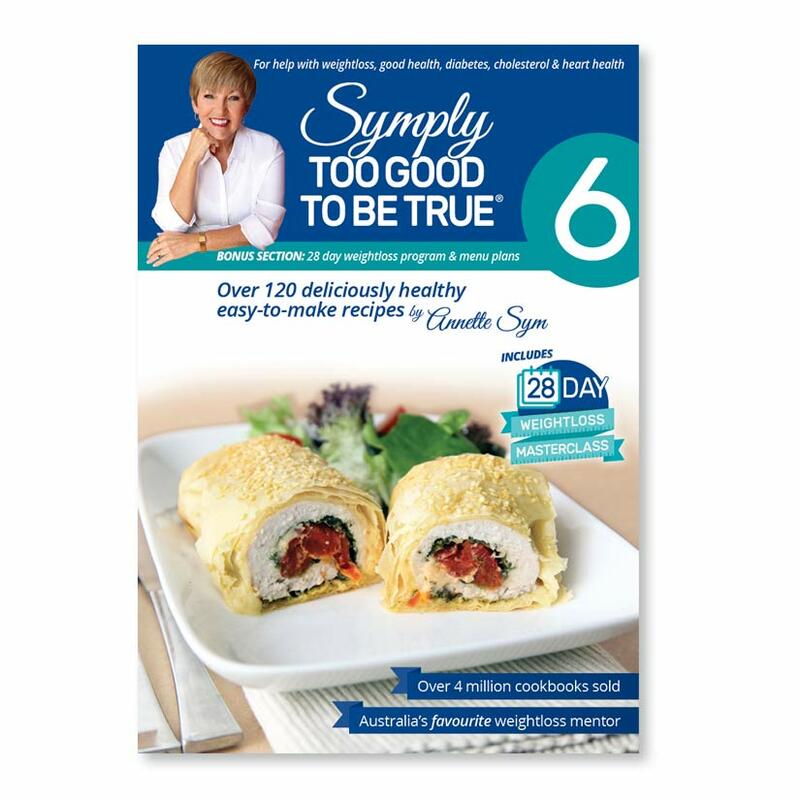 Enjoy delicious guilt-free savoury and sweet recipes with a fraction of the fat of traditional versions. 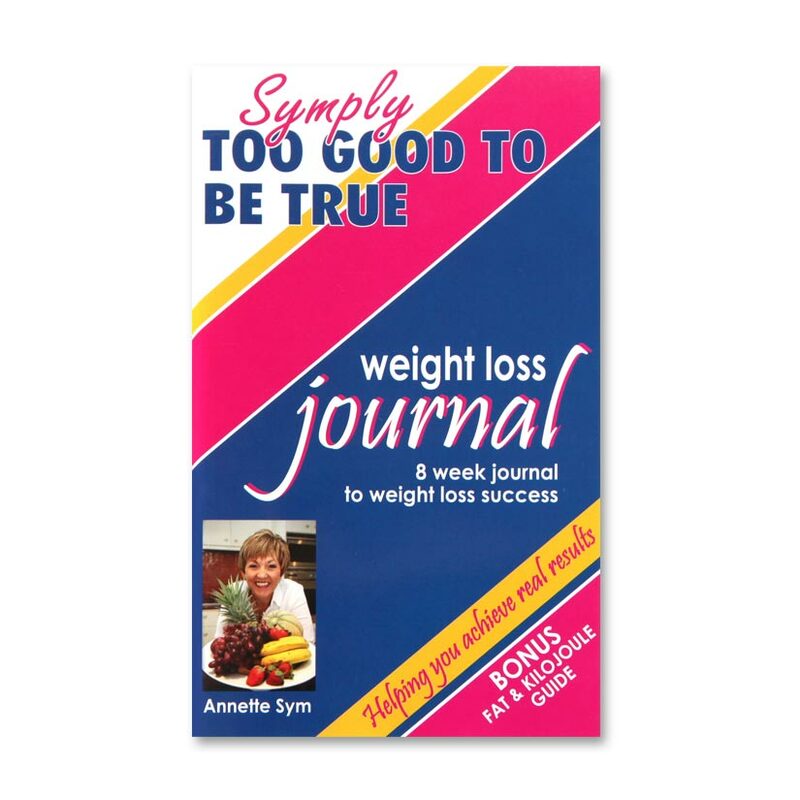 With over 4 million cookbooks sold Annette has shown that weight loss can be deliciously healthy. 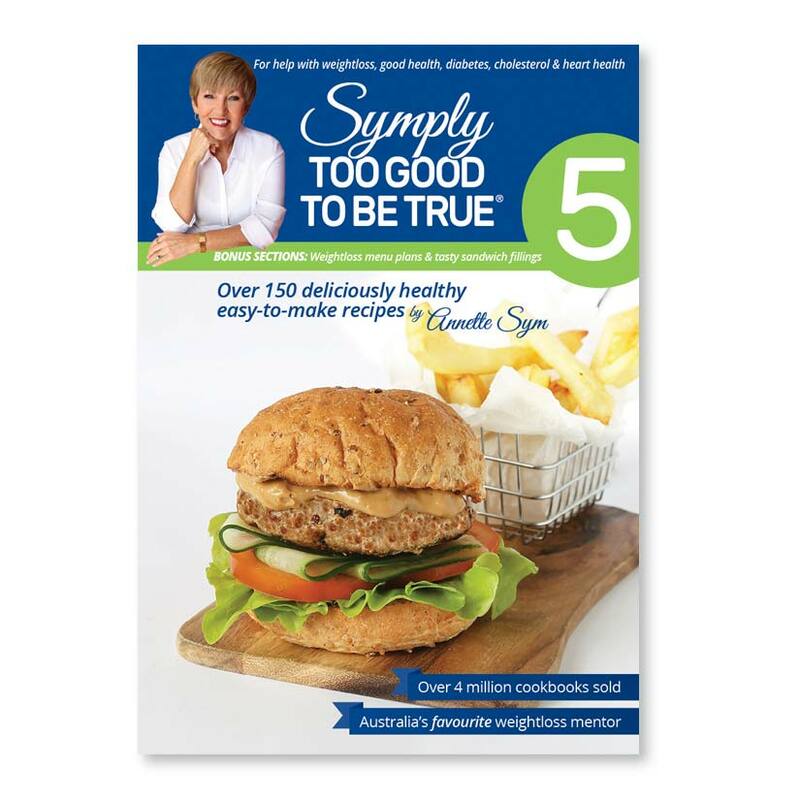 “I once weighed a 100 kilos and was getting fatter with every fad diet I tried. All that changed when I saw a photo of me in a swimsuit at Mooloolaba Beach on the Sunshine Coast – I knew something had to change. So, I decided to quit dieting and become a healthy person. 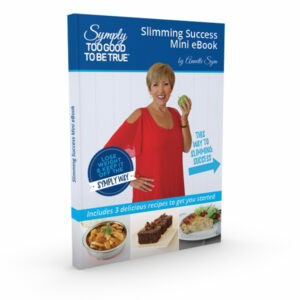 When I was losing my weight I didn’t want to miss out, so I created my own low-fat recipes. Hello… my cheesecakes have a tenth of the fat of traditional versions, what’s not to love about that. 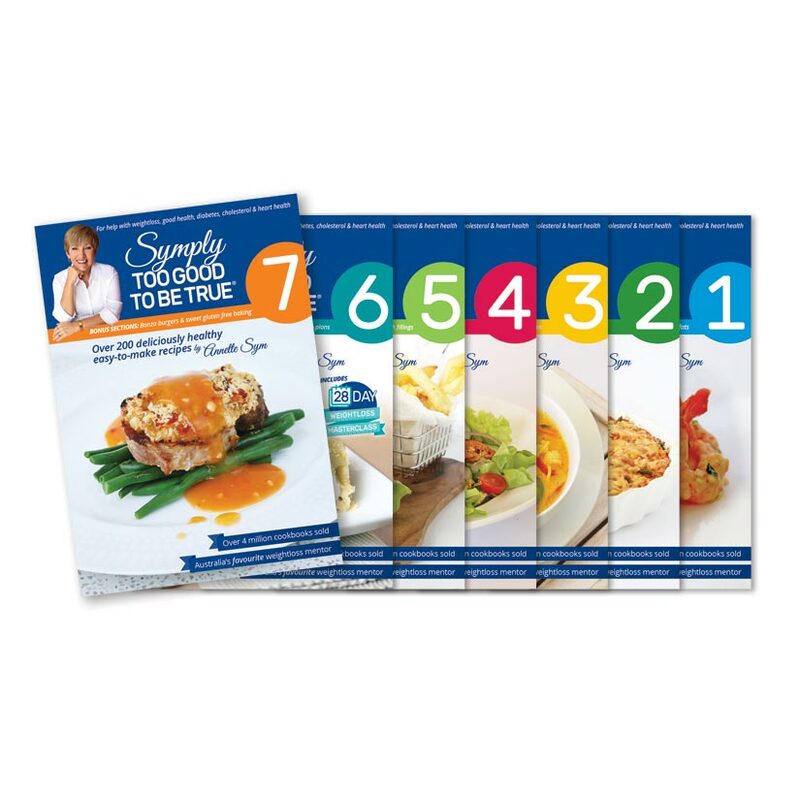 I created recipes that the whole family could eat with me and they loved them too. 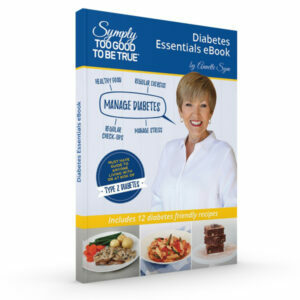 Books can be purchased individually, CLICK HERE to view the individual listings and our full range of weight loss products. Use these adjustable spoons for perfect recipes every time! 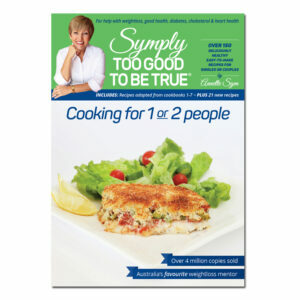 First published 1997 – 2013 (depending on volume number), same great recipes with a fresh new look. Read more about what’s changed in this blog.